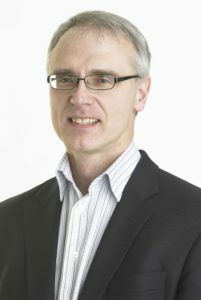 Rory McAlpine is Senior Vice President, Government and Industry Relations with Maple Leaf Foods. In this role, Mr. McAlpine has overall responsibility for working with government and industry partners on matters of public policy, programs, regulatory affairs and trade. Mr. McAlpine brings to Maple Leaf Foods a wealth of experience gained during more than 30 years of working in government, trade and agribusiness. Prior to joining the Company, Mr. McAlpine served as Deputy Minister of the B.C. Ministry of Agriculture, Food and Fisheries from 2002 to 2005. He also obtained significant experience with the Federal Government as Executive Director and Director General, International Trade Policy Directorate; Director Grains and Oilseeds Division; and Deputy Director Multilateral Trade with Agriculture and Agri-Food Canada. Mr. McAlpine also held the position of Executive Director of the National Farm Products Council and was a Trade Commissioner with the Department of Foreign Affairs and International Trade, with postings in Kuwait, Bangkok, Brussels, Edmonton and Ottawa. Mr. McAlpine serves on a number of boards and committees, including Food and Beverage Ontario, VIDO-InterVac (University of Saskatchewan), Ontario Association of Food Banks, and the Maple Leaf Centre for Action on Food Security. He is on the advisory committees for the Program on Agri-Food Innovation and Regulation, Richard Ivey School of Business (University of Western Ontario) and the Canadian Agri-Food Policy Institute. Mr. McAlpine holds a Masters degree in Economics from the University of St. Andrews in Scotland. Maple Leaf Foods Inc. is a leading consumer protein company, making high quality, innovative products under national brands including Maple Leaf®, Maple Leaf Prime®, Maple Leaf Natural Selections®, Schneiders®, Schneiders® Country Naturals®, and Mina®. The Company also operates in the refrigerated plant protein category with the Lightlife® brand and Field Roast® brands. Maple Leaf employs approximately 11,500 people and does business in Canada, the U.S. and Asia. The Company is headquartered in Mississauga, Ontario and its shares trade on the Toronto Stock Exchange (MFI).